Join us in providing holiday spirit, gifts, grocery gift cards and more to more than 180 families facing extreme poverty and illness this holiday season. Last year, The Children’s Place Adopt-a-Family Holiday Giving Drive provided 168 families with more than 2,200 gifts and 280 grocery gift cards to make their holiday seasons extra bright. Thank you to the supporters of the 2014 Adopt-a-Family programs for making this possible! We hope that you will consider becoming a donor in this year’s program. The process is inspiring and easy! The donor completes the 2015 registration form. We then match the donor anonymously with a family of your preferred size. We provide the donor with an electronic version of the family’s wish list to use as a guide when you shop. Donors go out and shop! Past participants say they enjoy shopping for their client family with friends, spouses and especially their kids. Donors then drop off their unwrapped gifts by Sunday, December 13 in time for distribution to families. 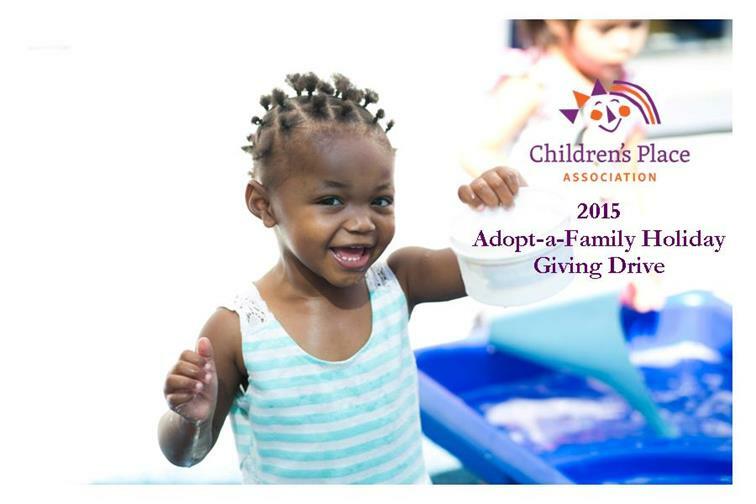 Please view the 2015 Adopt-a-Family Donor Information Packet for all the details. Registration forms are now being accepted. We will begin matching donors with families as early as Wednesday, November 18. Don’t wait to sign up for this program! Submit your donor registration form today. Questions? Please email us.